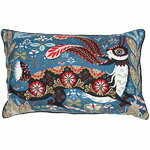 Klaus Haapaniemi’s enchanting Running Hare cushion cover features a beautiful rabbit among detailed flora. The pattern has been hand printed on both sides of the cover, which is made of 100% silk. 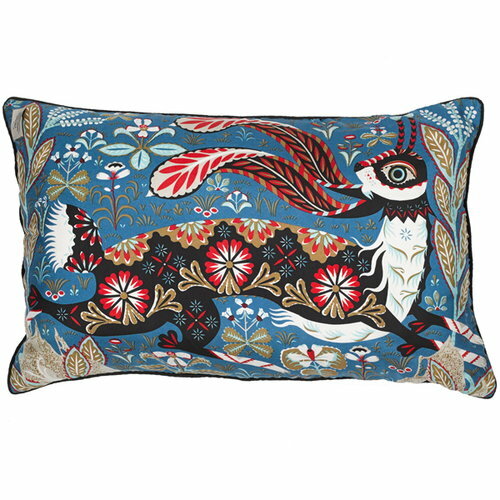 The cushion cover has a hidden zipper and black piping. Running Hare belongs to Haapaniemi’s popular home collection that takes its inspiration from nature, Finnish folklore and traditional decorative arts.